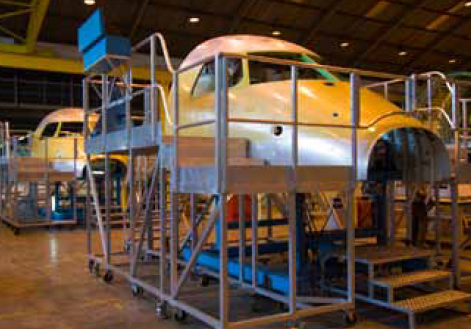 Before a part is attached to the aircraft during either manufacture or repair, it has to be shaped to fit into place. This shaping process is called forming and may be a simple process, such as making one or two holes for attaching; it may be a complex process, such as making shapes with complex curvatures. Forming, which tends to change the shape or contour of a flat sheet or extruded shape, is accomplished by either stretching or shrinking the material in a certain area to produce curves, flanges, and various irregular shapes. Since the operation involves altering the shape of the stock material, the amount of shrinking and stretching almost entirely depends on the type of material used. Fully annealed (heated and cooled) material can withstand considerably more stretching and shrinking and can be formed at a much smaller bend radius than when it is in any of the tempered conditions. Forming processes used on the flight line and those practiced in the maintenance or repair shop cannot duplicate a manufacturer’s resources, but similar techniques of factory metal working can be applied in the handcrafting of repair parts. Forming usually involves the use of extremely light-gauge alloys of a delicate nature that can be readily made useless by coarse and careless workmanship. A formed part may seem outwardly perfect, yet a wrong step in the forming procedure may leave the part in a strained condition. Such a defect may hasten fatigue or may cause sudden structural failure. 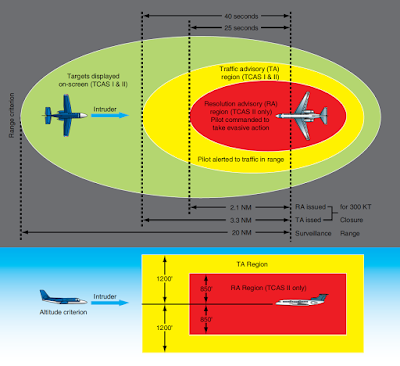 Of all the aircraft metals, pure aluminum is the most easily formed. In aluminum alloys, ease of forming varies with the temper condition. Since modern aircraft are constructed chiefly of aluminum and aluminum alloys, this section deals with the procedures for forming aluminum or aluminum alloy parts with a brief discussion of working with stainless steel, magnesium, and titanium. Most parts can be formed without annealing the metal, but if extensive forming operations, such as deep draws (large folds) or complex curves, are planned, the metal should be in the dead soft or annealed condition. During the forming of some complex parts, operations may need to be stopped and the metal annealed before the process can be continued or completed. For example, alloy 2024 in the “0” condition can be formed into almost any shape by the common forming operations, but it must be heat treated afterward. Forming requires either stretching or shrinking the metal, or sometimes doing both. Other processes used to form metal include bumping, crimping, and folding. Stretching one portion of a piece of metal affects the surrounding material, especially in the case of formed and extruded angles. 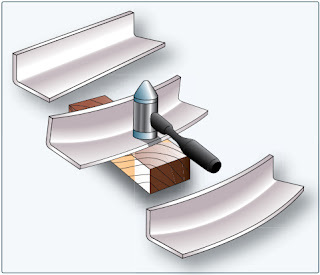 For example, hammering the metal in the horizontal flange of the angle strip over a metal block causes its length to increase (stretched), making that section longer than the section near the bend. To allow for this difference in length, the vertical flange, which tends to keep the material near the bend from stretching, would be forced to curve away from the greater length. Shrinking metal is much more difficult than stretching it. During the shrinking process, metal is forced or compressed into a smaller area. 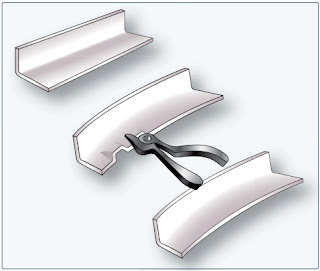 This process is used when the length of a piece of metal, especially on the inside of a bend, is to be reduced. Sheet metal can be shrunk in by hammering on a V-block or by crimping and then using a shrinking block. 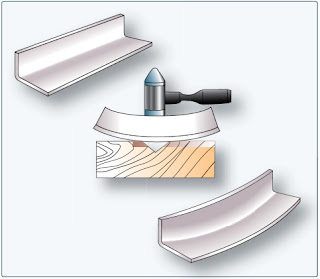 To make a sharp curve or a sharply bent flanged angle, crimping and a shrinking block can be used. In this process, crimps are placed in the one flange, and then by hammering the metal on a shrinking block, the crimps are driven, or shrunk, one at a time. Cold shrinking requires the combination of a hard surface, such as wood or steel, and a soft mallet or hammer because a steel hammer over a hard surface stretches the metal, as opposed to shrinking it. The larger the mallet face is, the better. Bumping involves shaping or forming malleable metal by hammering or tapping—usually with a rubber, plastic, or rawhide mallet. During this process, the metal is supported by a dolly, a sandbag, or a die. Each contains a depression into which hammered portions of the metal can sink. Bumping can be done by hand or by machine. Folding sheet metal is to make a bend or crease in sheets, plates, or leaves. Folds are usually thought of as sharp, angular bends and are generally made on folding machines such as the box and pan brake.